The sad news (for us, not for him) is that our Deep Sky coordinator, Braeden Borg, is heading to Sydney to further his studies and so for the moment Deep Sky isn't meeting. We will update this once we have more information! 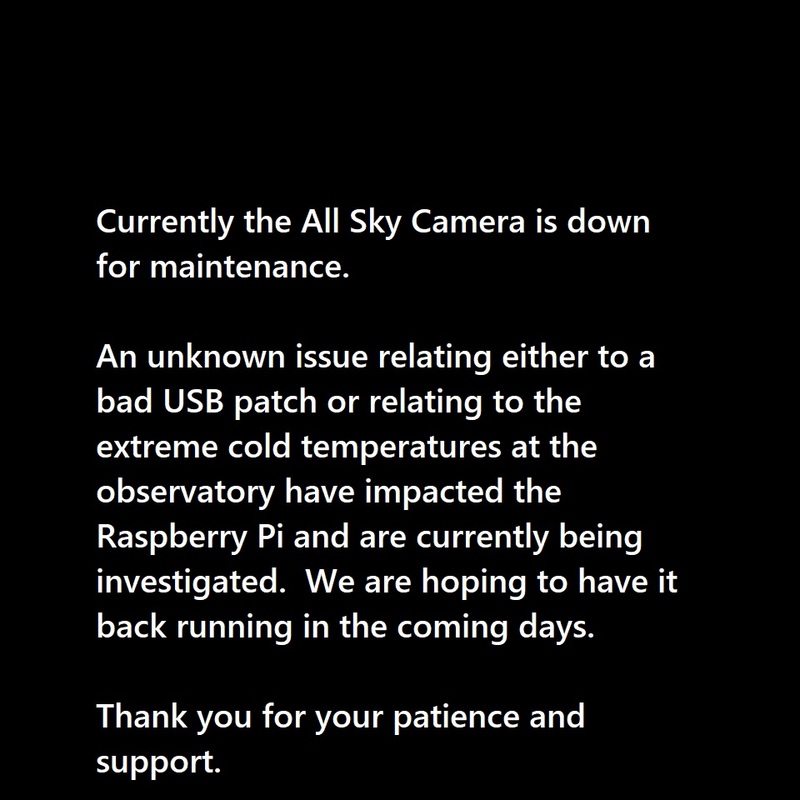 Current all sky camera view at MBO. Daytime shows as all white.